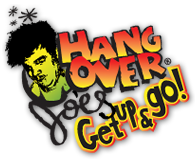 Announcing that the Canadian markets were now theirs, shares in Hangover Joe’s (HJOE) stock began Tuesday trading way lower than Monday’s close. The maker of The Hangover Recovery Shot™, the official licensed product of “The Hangover” Movies and America’s #1 leading hangover recovery product, witnessed HJOE stock price open 8 cents below Monday’s closing price with just 13 executed trades during the trading session on, what we believe, is easily a $1 plus stock. From the open, HJOE offered a 52.94% intraday gain for anyone who, strength to strength, bought and sold on Tuesday. Hangover Joe’s is the exclusive producer of The Hangover Recovery Shot, the official licensed product of The Hangover movie and the nation’s #1 selling hangover recovery product. Taken the morning after and featuring a patent-pending blend of antioxidants, vitamins and herbs, Hangover Joe’s Recovery Shot is the quickest way to overcome the day-after side effects of alcohol consumption. Bottom Line: HJOE is on the top of our list of penny stocks to watch. With revenues forecast for upwards of $20 million in the next 3 years and the backing of Warner Bros., HJOE is a “can’t lose” penny stock pick at 0.21. Last updated by Timothy Richards at August 8, 2012 .